This is a super cool way to create the industrial look for your space without the expense! If you are creative and love to make your own stuff, then check this video out below. 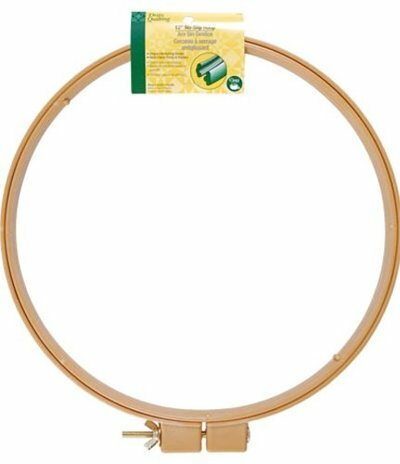 They use wooden embroidery hoops which you can get at craft stores, but I found bigger ones on Amazon. Check it out! The video plays quite quickly so you may want to stop it in places to see just how they put this together. I love the industrial look and found online to be some of the best sources of the old style warehouse look compared to my local light fixture shop. But if the budget is tight you can simply order the supplies and make your own hanging old style chandeliers! Make a few! 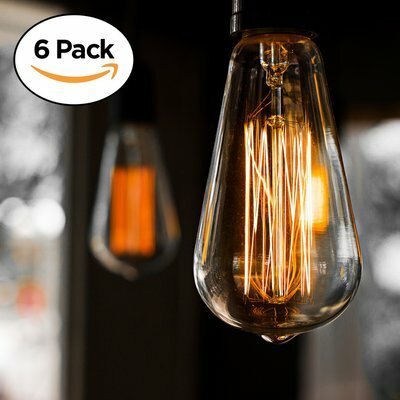 I found the larger hoops to be called "quilting hoops" online and the hanging light wire to be called "pendant light socket" but my favorite of all is the Edison style light bulbs you can get online (as pictured). These bulbs are totally safe for North America but give that old industrial or old world look to your fixtures, plus give off a super nice warm glow. If you want your space to be that style then sticking in a modern compact bulb is going to look ugly! 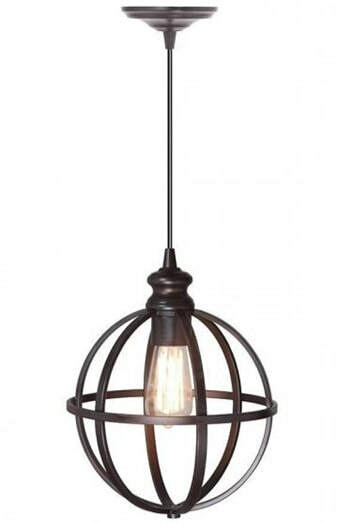 If you are making this orb pendant yourself, it is worth the little bit extra for the cool looking Edison bulbs. These come in a 6-pack. The above DIY uses embroidery hoops but if you want something super simply and quick, you could try this next DIY where she uses a black wire waste basket. I think if she used the Edison style bulbs it would look better and more industrial, but that is just me! 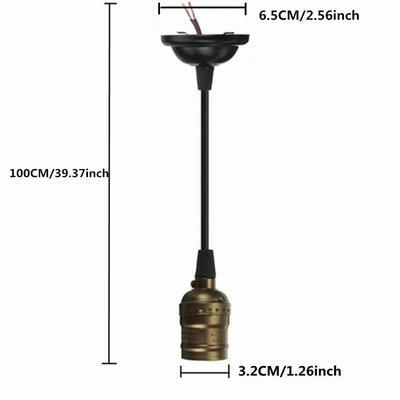 In the video for the wire basket chandelier, she uses this type of Hemma Light socket (pictured) which you can get at IKEA but you can also get online with AMAZON. I still say it would look better with the Edison style bulb. You could also add a bit of a tarnished look to the wire basket for an older effect. 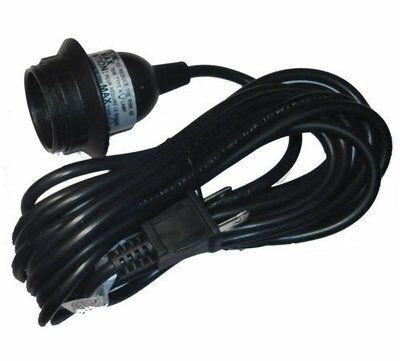 ​Just be careful cutting out the hole for the cord that there are no sharp edges to cut into the wire. If you don't mind getting stuck into a DIY project, there are many ways to add some light fixtures to your home without breaking the bank but that are also safe. The industrial style supplies you can get online with Amazon are safety inspected to be modern but yet have that old world look that just adds to that old warehouse or industrial styling. I fell in love with this style of lighting years before it became popular and found it difficult to find fixtures in the local lighting stores. But I discovered on AMAZON many styles and if you check out the other pages on my site you will see just what you can get if you love this style too. Also check out how to make hanging Mason Jar Lights.. These look cool in the kitchen in a group. This is another DIY project that can use up those mason jars you may have hanging around. Check it out and enjoy! I hope this page has inspired you to get creative with the safest of supplies.